Honda Motor Co., Ltd. (本田技研工業株式会社, Honda Giken Kōgyō KK, IPA: ( ); ) is a Japanese public multinational corporation primarily known as a manufacturer of automobiles, motorcycles and power equipment. The first complete motorcycle, with both the frame and engine made by Honda, was the 1949 Model D, the first Honda to go by the name Dream. 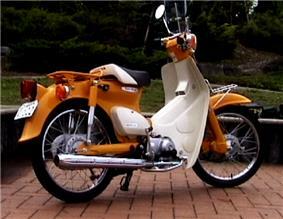 Honda Motor Company grew in a short time to become the world's largest manufacturer of motorcycles by 1964. 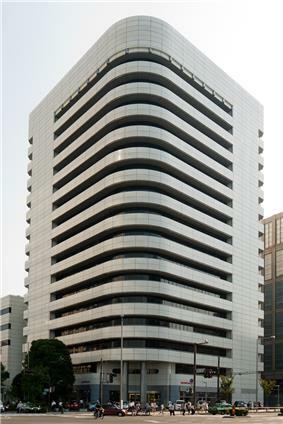 Kawamoto acted quickly to change Honda's corporate culture, rushing through market-driven product development that resulted in recreational vehicles such as the Odyssey and the CR-V, and a refocusing away from some of the numerous sedans and coupes that were popular with Honda's engineers but not with the buying public. The most shocking change to Honda came when Kawamoto ended Honda's successful participation in Formula One after the 1992 season, citing costs in light of the takeover threat from Mitsubishi as well as the desire to create a more environmentally-friendly company image. American Honda Motor Company is based in Torrance, California. Honda Racing Corporation (HRC) is Honda's motorcycle racing division. Honda Canada Inc. is headquartered in Markham, Ontario, their manufacturing division, Honda of Canada Manufacturing, is based in Alliston, Ontario. Honda has also created joint ventures around the world, such as Honda Siel Cars and Hero Honda Motorcycles in India, Guangzhou Honda and Dongfeng Honda in China, Boon Siew Honda in Malaysia and Honda Atlas in Pakistan. As Honda entered into automobile manufacturing in the late 1960s, where Japanese manufacturers such as Toyota and Nissan had been making cars since before WWII, it appears that Honda instilled a sense of doing things a little differently than its Japanese competitors. Its mainstay products, like the Accord and Civic, have always employed front-wheel-drive powertrain implementation, which is currently a long held Honda tradition. Honda also installed new technologies into their products, first as optional equipment, then later standard, like anti lock brakes, speed sensitive power steering, and multi-port fuel injection in the early 1980s. This desire to be the first to try new approaches is evident with the creation of the first Japanese luxury chain Acura, and was also evident with the all aluminum, mid-engined sports car, the Honda NSX, which also introduced variable valve timing technology, Honda calls VTEC. Five of United States Environmental Protection Agency's top ten most fuel-efficient cars from 1984 to 2010 comes from Honda, more than any other automakers. The five models are: 2000–2006 Honda Insight (53 mpg-US or 4.4 L/100 km or 64 mpg-imp combined), 1986–1987 Honda Civic Coupe HF (46 mpg-US or 5.1 L/100 km or 55 mpg-imp combined), 1994–1995 Honda Civic hatchback VX (43 mpg-US or 5.5 L/100 km or 52 mpg-imp combined), 2006– Honda Civic Hybrid (42 mpg-US or 5.6 L/100 km or 50 mpg-imp combined), and 2010– Honda Insight (41 mpg-US or 5.7 L/100 km or 49 mpg-imp combined). The ACEEE has also rated the Civic GX as the greenest car in America for seven consecutive years. In 1979, Honda returned to Grand Prix motorcycle racing with the monocoque-framed, four-stroke NR500. The FIM rules limited engines to four cylinders, so the NR500 had non-circular, 'race-track', cylinders, each with 8 valves and two connecting rods, in order to provide sufficient valve area to compete with the dominant two-stroke racers. 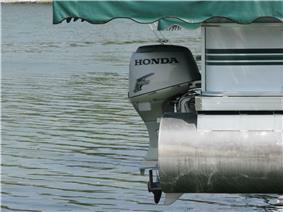 Unfortunately, it seemed Honda tried to accomplish too much at one time and the experiment failed. For the 1982 season, Honda debuted their first two-stroke race bike, the NS500 and in 1983, Honda won their first 500 cc Grand Prix World Championship with Freddie Spencer. Since then, Honda has become a dominant marque in motorcycle Grand Prix racing, winning a plethora of top level titles with riders such as Mick Doohan and Valentino Rossi. In late 1999, Honda launched the first commercial hybrid electric car sold in the U.S. market, the Honda Insight, just one month before the introduction of the Toyota Prius, and initially sold for US$20,000. The first-generation Insight was produced from 2000 to 2006 and had a fuel economy of 70 miles per US gallon (3.4 L/100 km; 84 mpg-imp) for the EPA's highway rating, the most fuel-efficient mass-produced car at the time. Total global sales for the Insight amounted to only around 18,000 vehicles. Cumulative global sales reached 100,000 hybrids in 2005 and 200,000 in 2007. 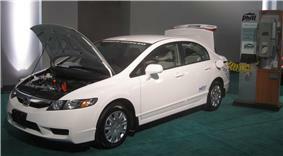 Since 2002, Honda has also been selling the Honda Civic Hybrid (2003 model) in the U.S. market. It was followed by the Honda Accord Hybrid, offered in model years 2005 through 2007. Sales of the Honda CR-Z began in Japan in February 2010, becoming Honda's third hybrid electric car in the market. As of February 2011, Honda was producing around 200,000 hybrids a year in Japan. Honda's cumulative global hybrid sales passed the 1 million unit milestone at the end of September 2012, 12 years and 11 months after sales of the first generation Insight began in Japan November 1999. A total of 187,851 hybrids were sold worldwide in 2013, and 158,696 hybrids during the first six months of 2014. As of June 2014, Honda has sold more than 1.35 million hybrids worldwide. The all-electric Honda EV Plus was introduced in 1997 as a result of CARB's zero-emissions vehicle mandate and was available only for leasing in California. The EV plus was the first battery electric vehicle from a major automaker with non-lead acid batteries The EV Plus had an all-electric range of 100 mi (160 km). Around 276 units were sold in the U.S. and production ended in 1999. The all-electric Honda Fit EV was introduced in 2012 and has an range of 82 mi (132 km). The all-electric car was launched in the U.S. to retail customers in July 2012 with initial availability limited to California and Oregon. Production is limited to only 1,100 units over the first three years. A total of 1,007 units have been leased in the U.S. through September 2014. 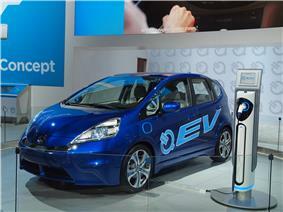 The Fit EV was released in Japan through leasing to local government and corporate customers in August 2012. Availability in the Japanese market is limited to 200 units during its first two years. In July 2014 Honda announced the end of production of the Fit EV for the 2015 model. As time progressed and sales began to diminish partly due to the collapse of the Japanese "bubble economy", "supermini" and "kei" vehicles that were specific to Honda Primo were "badge engineered" and sold at the other two sales channels, thereby providing smaller vehicles that sold better at both Honda Verno and Honda Clio locations. 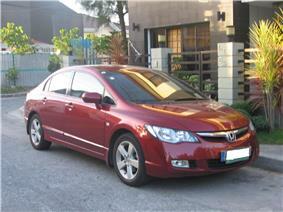 As of March 2006, the three sales chains were discontinued, with the establishment of Honda Cars dealerships. In Australia, Honda advertised heavily during most motor racing telecasts, and was the official sponsor of the 2006 FIA Formula 1 telecast on broadcaster channel "Ten". In fact, it was the only manufacturer involved in the 2006 Indy Racing League season. In a series of adverts promoting the history of Honda's racing heritage, Honda claimed it "built" cars that won 72 Formula 1 Grand Prix. Skeptics have accused Honda of interpreting its racing history rather liberally, saying that virtually all of the 72 victories were achieved by Honda powered (engined) machines, whereas the cars themselves were designed and built by Lotus F1, Williams F1, and McLaren F1 teams, respectively. However, former and current staff of the McLaren F1 team have reiterated that Honda contributed more than just engines and provided various chassis, tooling, and aerodynamic parts as well as funding. .
Honda will sponsoring La Liga club Valencia CF starting from 2014-15 season. Valencia CF will carry Honda Cars Valencia insignia at their football kits. 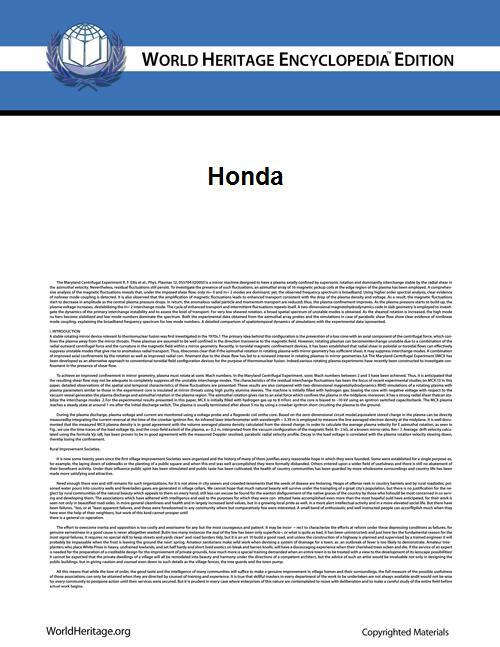 ^ a b c "Financial Results: Honda Motor Company" (PDF). April 2013. Retrieved 26 April 2013. ^ a b "FY2012 FY12 Financial Results: Honda Motor Company". May 2011. Retrieved 15 June 2011. ^ Grant, Robert M.; Neupert, Kent E. (2003). Cases in contemporary strategy analysis (3rd ed.). ^ Johnson, Richard Alan (2005). Six men who built the modern auto industry. ^ Miller, Edward (18 April 2008). "FIRST MOTORCYCLE AIRBAG EARNS TAKATA AND HONDA 2008 AUTOMOTIVE NEWS PACE INNOVATION PARTNERSHIP AWARD". Honda.com. Retrieved 28 July 2009. ^ "Harga Honda Mobilio". Mobilio. Retrieved 22 November 2009. ^ "World motor vehicle production OICA correspondents survey without double counts world ranking of manufacturers year 2011". ^ a b c d e f g h Frank, Aaron (2003). Honda Motorcycles. MotorBooks International. ^ "1951 Honda Dream Type D". Classic Bikes from the AMA Motorcycle Hall of Fame Museum. American Motorcyclist Association. Retrieved 8 October 2013. According to legend, the machines name, since associated with a variety of Honda products, was inspired by a comment made by one of Hondas employees during a company party. The workers had pushed aside the desks to toast their efforts with home-brewed sake. 'It's like a dream,' uttered one of the attendees. The name stuck. ^ "Sporting Hondas – Classic Buyer's Guide". New Zealand Classic Car magazine. 21 September 2010. ^ Sorge, Marjorie (1998). "1998 executive of the year - Honda Motor Co. president Nobuhiko Kawamoto". Automotive Industries. ^ Ohnsman, Alan (20 August 2010). "Honda's Dream of U.S. Production Protects Profits as Yen Surges". Bloomberg. Retrieved 1 January 2011. ^ Mangion, Patrick (08-27). "Markham saves Honda deal". Yorkregion.com. p. 1. It was originally planned to be located in Richmond Hill, Ontario, but delays led them to look elsewhere. ^ Barr, Jonathan, ed. (July–September 2003). "1965 Honda T500F Flat Bed Utility". The Japanese Restorer in Australia (Bald Hills, Queensland, Australia) (4): 15. ^ "the greenest vehicles of 2008". greenercars.org. Retrieved 1 January 2011. ^ Rumelt, Richard P. (1995-07-10). "The Many Faces of Honda". Retrieved 25 July 2014. ^ Allen J. Morrison; United Nations. Transnational Corporations and Management Division (1993). Transnational corporations and business strategy. Taylor & Francis. pp. 65–66. ^ Morrison, Allen J. Transnational corporations and business strategy. Taylor & Francis. pp. 64–92. ^ Gary Hamel; C. K. Prahalad (1 July 1994). Competing for the future. Harvard Business Press. p. 204. ^ Sally H. Clarke; Naomi R. Lamoreaux; Steven W. Usselman (10 March 2009). The Challenge of Remaining Innovative: Insights from Twentieth-Century American Business. Stanford University Press. p. 223. ^ "Honda Racing Engines". Racing.honda.com. Retrieved 27 September 2010. ^ News, Automotive (17 October 2008). "Green-car era poses test for Honda, The Car Tech blog – CNET Reviews". Reviews.cnet.com. Retrieved 22 November 2009. ^ Abuelsamid, Sam (6 January 2009). "Honda S2000, CR-Z convertible follow Acura NSX and V8 to scrap heap". Retrieved 25 October 2010. 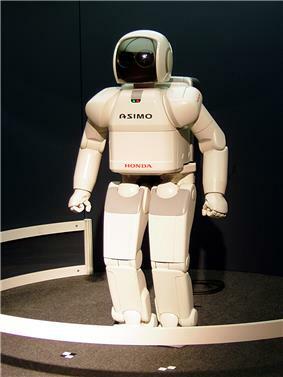 ^ "Frequently asked questions about ASIMO". Honda. Retrieved 25 July 2014. ^ "Honda Soltec Begins Sales of Thin-Film Solar Cells for Public and Industrial Use" (Press release). World.honda.com. October 23, 2008. Retrieved 10 January 2012. ^ "Honda to Discontinue Operations of Honda Soltec, a Photovoltaic Subsidiary" (Press release). World.honda.com. October 30, 2013. Retrieved 30 October 2013. ^ "Last Lap Victory for Franchitti Seals 2007 IndyCar Title". Retrieved 14 January 2008. ^ Takahashi, Yoshio (16 May 2013). "Honda F1 Engines Set to Roar Again in 2015". Wall Street Journal. Retrieved 16 May 2013. ^ Christine Gable and Scott Gable. "2008 Natural Gas Vehicles (NGVs) Available". About.com: Hybrid Cars & Alt Fuels. Retrieved 18 October 2008. ^ "FuelMaker Corporation – World Leader in Convenient On-Site Refueling Systems". Web.archive.org. 15 February 2008. Archived from the original on 15 February 2008. Retrieved 27 September 2010. ^ a b Ricardo Ghigonetto (November 2, 0061). "Honda apresenta tecnologia Flex" (in Portuguese). Honda (Brazil). Retrieved 16 April 2009. ^ a b c Marcelo Moura (January 2007). "Testes: Honda Civic EXS Flex x Honda Civic EXS" (in Portuguese). Revista Quatro Rodas. Retrieved 16 April 2009. ^ Luís Felipe Figueiredo (9 February 2009). "Honda Fit LXL Flex, um japonês versátil" (in Portuguese). WebMotors. Retrieved 16 April 2009. ^ Alberto Polo Junior (12 December 2006). "Versão Flex do Honda Fit chega na sexta por R$ 46.340" (in Portuguese). Interpress Motor. Retrieved 16 April 2009. ^ "Honda starts building flex-fuel City sedan in Brazil". AutoblogGreen. 29 July 2009. Retrieved 3 August 2009. ^ "Autoveículos – Produção em 2009" (in Portuguese). ANFAVEA – Associação Nacional dos Fabricantes de Veículos Automotores (Brazil). Retrieved 16 April 2009. Up to February 2009. See "Produção por Tipo, Empresa e Combustível " Tables 6 (gasoline) and 7 (flex-fuel). All gasoline vehicles were exported (see Table 01 Exportação de Autoveículos por Empresa, Tipo e Modelo – 2009). ^ "Honda lança primeira moto bicombustível do mundo" (in Portuguese). G1 Portal de Notícias da Globo. 11 March 2003. Retrieved 11 March 2003. ^ "Honda lança no Brasil primeira moto flex do mundo" (in Portuguese). UNICA. 11 March 2003. Retrieved 11 March 2003. ^ a b c Sperling, Daniel and Deborah Gordon (2009). "Two billion cars: driving toward sustainability". ^ a b c d Honda Press Release (2012-10-15). "Cumulative worldwide sales of Honda hybrids passes 1 million units". 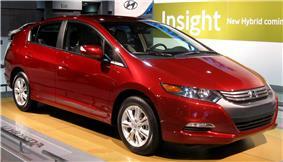 ^ "Honda Insight: America's most affordable hybrid at $19,800". Honda. Motor Authority. 10 March 2009. Retrieved 21 March 2009. ^ "Honda CR-Z Hybrid Now On Sale in Japan; Targeting 1,000 Units Per Month". ^ Yoshio Takahashi (2 February 2011). "Honda Exports From Japan Unlikely To Decline Soon". Dow Jones newswire. ^ Eric Loveday (Oct 8, 2010). 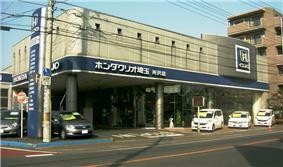 "Honda prices 2011 Fit Hybrid at $19,310; cheapest gas-electric in Japan". Autoblog Green. ^ Williams, Stephen (2010-08-25). "Honda Jazz Hybrid Will Get Paris Premiere". New York Times. Retrieved 2010-08-26. ^ a b Roger Schreffler (2014-07-14). "Toyota Strengthens Grip on Japan EV, Hybrid Market". Honda sold 187,851 hybrids in 2013. ^ a b Roger Schreffler (2014-08-20). "Toyota Remains Unchallenged Global Hybrid Leader". Honda sold 158,696 hybrids during the first six months of 2014. ^ Blanco, Sebastian (16 April 2009). "CARB grants $6.8 million for four hydrogen refueling stations". Autobloggreen. Retrieved 17 June 2009. ^ Honda Media Room (2012-06-06). "2013 Honda Fit EV receives EPA fuel economy rating of 118 MPGe; highest yet". ^ Zach McDonald (2012-07-20). "Honda Registers First Fit EV Delivery". Plugincars.com. Retrieved 2012-07-21. ^ a b Cole, Jay (2014-01-06). "December 2013 Plug-In Electric Vehicle Sales Report Card". InsideEvs.com. Retrieved 2014-01-07. ^ a b Jay Cole (2014-10-01). "September 2014 Plug-In Electric Vehicle Sales Report Card". InsideEVs.com. Retrieved 2014-10-01. ^ Honda News (2012-08-31). "Honda begins lease sales of Fit EV in Japan". ^ Antony Ingram (2012-11-30). "2014 Honda Accord Plug-In Hybrid Priced Sub-$41K, 115 MPGe". Green Car Reports. Retrieved 2012-11-30. ^ Pete Brissette (2013-01-21). "2014 Honda Accord Plug-in Hybrid Now Available in Calif. And New York". HybridCars.com. Retrieved 2013-01-21. ^ Honda News (2013-06-21). "Honda introduces Accord hybrid and plug-in in Japan; hybrid in US in October". ^ "Honda Timeline". World.honda.com. Retrieved 10 January 2012. ^ "Lights! Camera! Retake!". Telegraph. Retrieved 5 January 2008. ^ Mark Sweney (2 June 2008). "Plane used in Honda skydiving ad crashes in Spain, Media". The Guardian (UK). Retrieved 27 September 2010. ^ "2012 Digital FactBook". Honda. September 2012. Retrieved 25 July 2014. ^ a b "Honda Media Newsroom – Headlines – American Honda December Sales Up 25.5 Percent". Hondanews.com. Retrieved 21 August 2011. ^ a b "2012 Honda SALES & PRODUCTION RESULTS". ^ "Honda Sets All-Time December Sales Record to Earn 2nd Best Annual Sales Total for American Honda; Acura Light Trucks Post Best Year in Brand History" (Press release). Hondanews.com. 3 January 2014. Retrieved 25 July 2014. ^ a b "2010 Honda SALES & PRODUCTION RESULTS".